Your father has been your greatest protector and biggest fan since day one. He’s given you unconditional love even through all your childhood tantrums and teenage drama. So where do you even begin to figure out the perfect gift ideas for him? To assist in the process, we compiled a list of 8 gift ideas for Dad that will show your gratitude for everything he’s provided for you. These custom cutting boards boards are a solid gift idea for any Dad who knows his way around a grill. When you choose the King Of the Grill Cutting Board you’re able to laser engrave his name along with a thoughtful message. Just think how much more excited he’ll be to showcase his locally-famous baby back ribs during the next summer backyard barbecue. Bring Dad up to speed and help him protect his valuable smartphone with one of these durable iPhone cases. Choose one of your favorite photos from your family albums and put it on display so that every time he makes a call he remembers that his child adores him. You may not be able to enjoy dinner together every night anymore, but it doesn’t mean you have to feel far away. Pick out a photo that represents one of your greatest memories as well as a sweet sentimental message to add to a photo gallery plate. Everytime he goes to use it he may even be more likely to keep his elbows off the table while finishing all his vegetables. 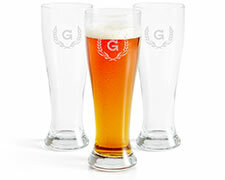 Upgrade Dad’s glassware game with his own personalized drinking glass. 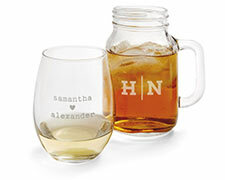 Not only does the Crown King Mason Jar have a nifty handle on the side to keep his drink cold, but you’re able to etch his name on the glass so that there’s no confusing who the King of the House truly is. Your Dad has worked hard for many years to provide for your family. Having a memento that can act as a desk accessory or sit atop his dresser will remind him every day how much his family appreciates him. With a photo cube you’re able to add three different photos to the panels along with some customized notes. If he’s an outdoorsman, then match his rustic style with the Weathered Wood Photo Cube. How about a unique piece of wall art that will stand the test of time? These metal prints are the frameless, sleek and modern way to convert a photo into a high definition masterpiece. Go for the Photo Gallery Metal Wall Art and find your favorite nostalgic family photo to give to Dad. If your Dad logs many hours at a computer whether it be at the office or at home, then a customized mouse pad might be the thoughtful gift idea you are looking for. Every time he sits down to login he will have a subtle reminder that you care about him. Between all your family vacations, sports games and holiday photos, there are countless memories that Dad loves to reminisce about. The classic gifts ideas stand the test of time for a reason, which is why the Photo Book might be exactly the gift idea for Dad you are looking for this year. 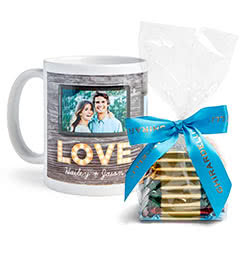 Create a collection of photos from your recent family vacation or gather photos from his childhood for a gift he’ll cherish for years to come.